Thanks to the Mills Act of 1972, many early-twentieth-century Tudor Revival-style mansions in Los Angeles have been finding new life and new uses almost 100 years later. For example this elegant, 18,000 square foot gem from 1912 which is now a fully rehabilitated Los Angeles City historic-cultural monument and church residence. The Movement of Spiritual Awareness began purchasing and restoring several of these magnificent structures designed in the early 1900s by Hudson & Munsell. Drisko Studio served as lead architects on this project and the adjacent [Briggs residence]. Not many documentary photos remained of either of the structures, but a multi-disciplinary team was assembled to research and evaluate, use historical context and some educated guesses based on elusive vestiges found on site to return MacGowan to its former splendor. 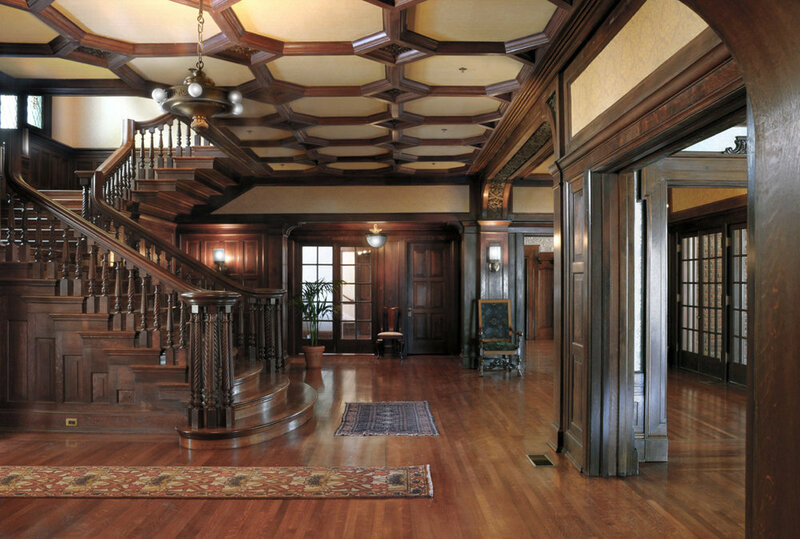 The original interior finishes and lighting fixtures were restored as well as the exterior chimneys, and interior and exterior improvements were made to meet codes for life safety. It seemed half of the work was the protection and painstaking selection of the surviving original material. Contemporary office facilities were fashioned within the attic level of the building, and some landscaping was engineered to beautify the space connecting MacGowan and Briggs. 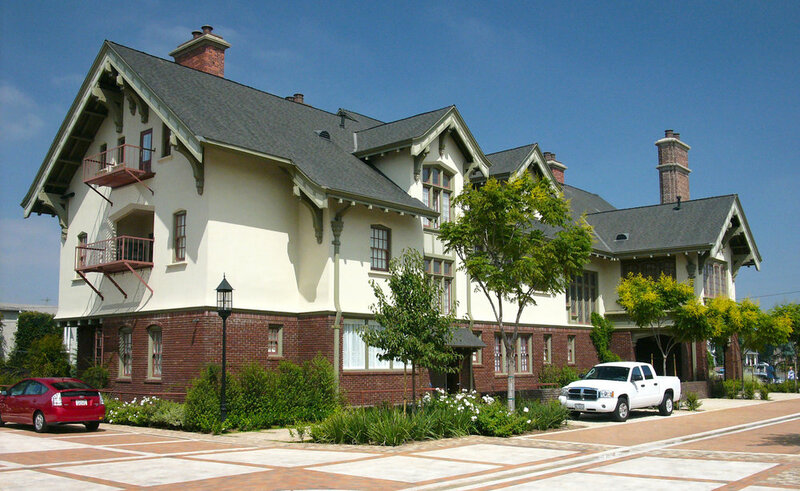 This project was completed under the Secretary of the Interior Standards, included compliance review with the Office of Historic Preservation, and received a Preservation Design Award in the Restoration category by the California Preservation Foundation in 2008. Part of a larger project with the Movement of Spiritual Inner Awareness (which included the [MacGowan Residence] adjacent), the 5,700 square foot Briggs Residence was built in 1914 and fully rehabilitated by 2008, once again marrying historic preservation with modern live- and workability. Dr Granville MacGowan had the handsome home constructed for his mother-in-law with a shared courtyard as a sort of family compound, and while the lots were subdivided over time, they have now been reunited with some nuanced landscaping and a central tiled fountain. The project also included preservation of the exterior building, total chimney reconstruction, and complete renovation of the garage into church offices. The interior was discreetly reconstructed and improved upon to accommodate residential suites, modern kitchen amenities, and common living areas. The Briggs Residence is City of Los Angeles Historic-Cultural Monument #447.